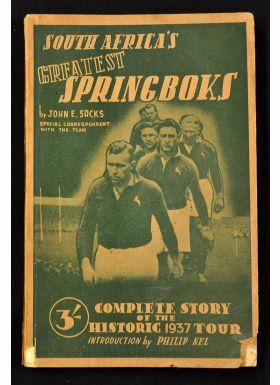 1937 Tour to NZ Book, 'South Africa's Greatest Springboks': John Sacks' 208pp tightly packed record of the historic tour, with reports, opinion, stats and pictures. 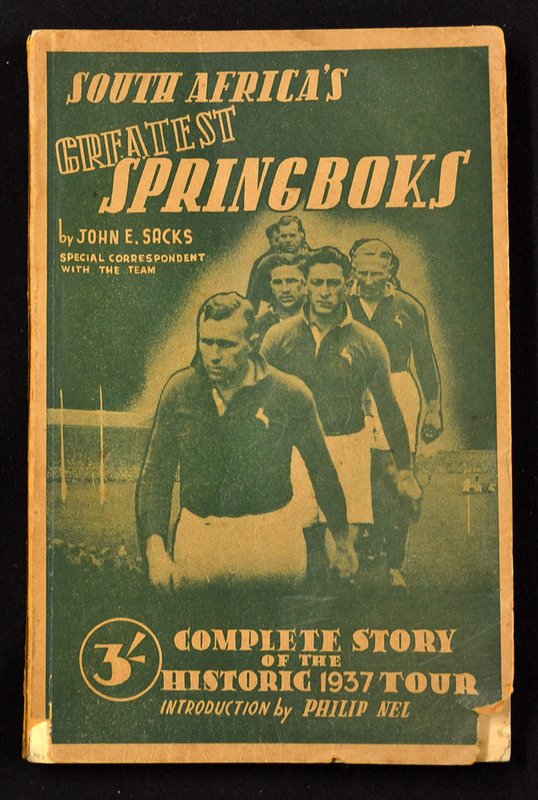 A rare book, in good condition for its age and its paperback nature. Endpapers foxed and slight loss to spine edge and lower front corner of cover, but otherwise more than good.